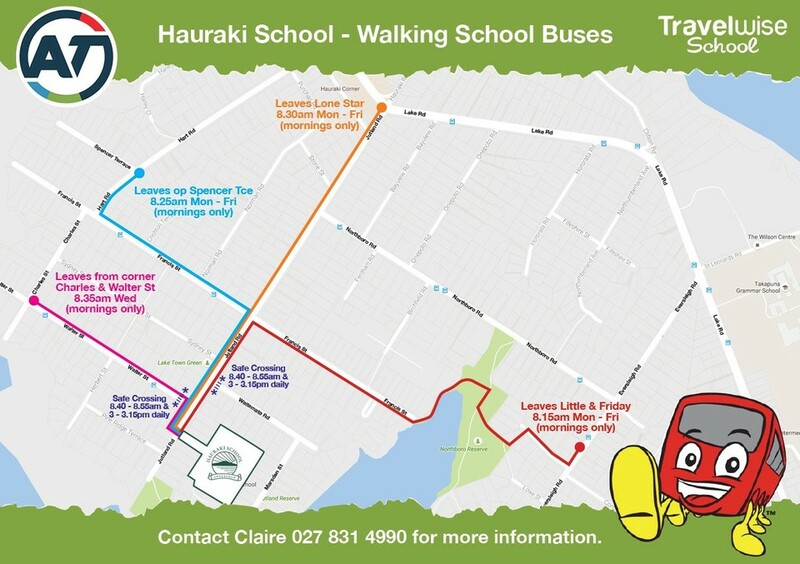 Hauraki School currently offers four walking school bus routes, starting from Hart Rd, Jutland Rd, Eversleigh Rd and Walter St. We strongly encourage children to walk to school as it promotes healthy living, provides opportunity to make new friends, and helps reduce chaos at the school gate. 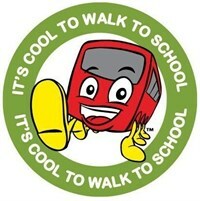 A walking school bus is just like a school bus except children walk to school under the supervision of adult volunteers, creating a safe and social journey to school. Children are collected from stops along a planned route and dropped off at the school gate. Along the way they learn how to safely negotiate the road and have an opportunity to socialise and share stories with friends and neighbours. What a great way to travel to school! 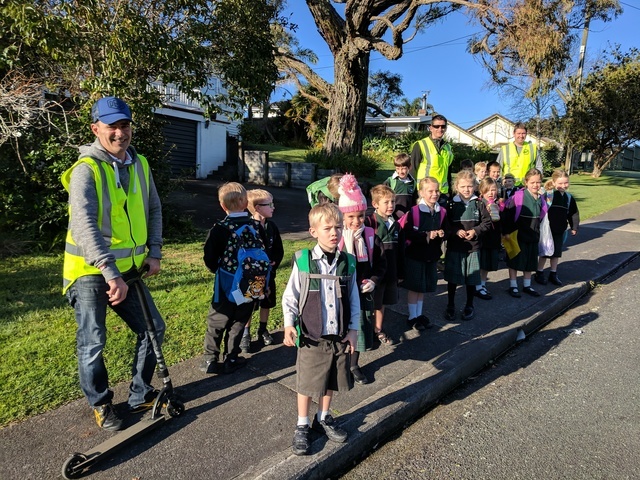 Walking school buses also make a contribution to reducing the amount of traffic around schools – in Auckland there are more than 200 active walking school buses, with over 4,000 children regularly walking to school. That’s a lot of active feet on the street. Click to sign up online NOW. or call Claire Reid on 027 831 4990. Safety. As it's a supervised group, you know your children will benefit from the presence of adults. As newbies to the area, joining the Walking School Bus has been a great way for us to meet a bunch of great local families. My son looks forward to walking with his friends and we always get out of the house on time to face the day. The WSB is a fantastic concept, testament to this being that so many local families have signed up. It is great for encouraging social interaction among both kids and adults, it gives everyone involved a healthy start to the day via the stretching of legs, and it is a huge help for parents to be able to share the scramble of the morning 'drop off' among others in the neighbourhood with the same challenges. Lastly, it gets people out of cars and onto the streets which is a big plus for both the environment and the vibrancy of the community. The WSB works thanks to parents like you. One morning a week you 'drive' the bus, the other four mornings you're freed from the school run. Of course, you can 'drive' more often if you'd like. What happens if you can't make it one morning? We all have times when sickness, work or other commitments mean we need help, and WSB parents support each other through them. Just shout out to fellow bus drivers on your route, and arrange for a swap or if someone can help out.